Many, many years ago, when I first started learning tunes by ear, I diligently learned every note of an Irish tune from a CD I was listening to. I practiced it over and over, note for note and then brought it to my teacher at the time. I played it for her. She listened and sat intently for a moment before saying: “Is that an Irish tune?”. It certainly didn’t sound Irish at the time. Granted I was still just getting my feet wet in Irish music but her point was well taken. There is something special about traditional Irish music. It has a certain lift and rhythm to it that makes it sound Irish. And just learning the notes does not mean you actually know the music. Aside from constantly listening to great Irish players and immersing yourself in sessions, it’s good to hop in on a class or a lesson every now and again to keep yourself in check. 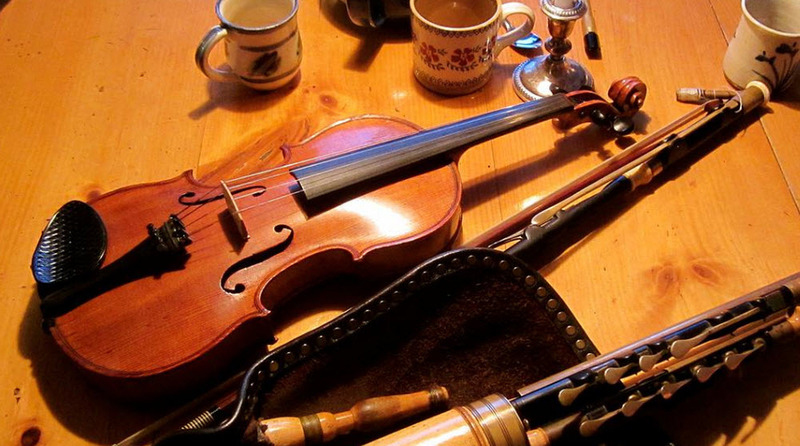 Lucky for us, next week fall classes in Irish music start at the Vermont School of Irish Traditional Music. This semester, the class will focus on finding the lift and rhythm in each tune with work on ornamentation and variation. This is what makes Irish music…Irish. The six-week term will begin on Monday, October 5 and will be offered on Mondays and Tuesdays from 7:15pm – 8:45pm at the Waterbury Congregational Church. The material will be identical on both days, but the pace of the Tuesday class tends to be more relaxed. Register: Send an email to benedictandhilari@gmail.com, confirming which day you’ll be attending (Monday or Tuesday). Cost: $150. Payment can be made at the first class. For more information visit Vermont School of Irish Traditional Music.